Architectural Mailboxes' Coronado mailboxes set the standard for style, elegance and long-lasting beauty in traditional curbside installations. Using only the highest quality materials like heavy gauge steel, and solid brass and aluminum accents with premium metallic finishes, the Coronado Collection offers our widest selection of colours, accents and post options to please even the most discerning homeowner. The Architectural Mailboxes' Oasis Jr. offers a patented, oversized hopper door with internal security baffle, locking lower compartment and modern styling. Constructed of individually powder coated heavy gauge steel panels with stainless steel hinges and rivets for extra durability. Architectural Mailboxes' Oasis Drop Box has an innovative oversized patented Parcel Delivery Door that accommodates delivery of items such as keys and small parcels. The delivery and access doors are equipped with weather tight seals to keep items clean and dry. The Oasis Drop Box has a re-keyable zinc plated cam lock with zinc die cast cylinder. 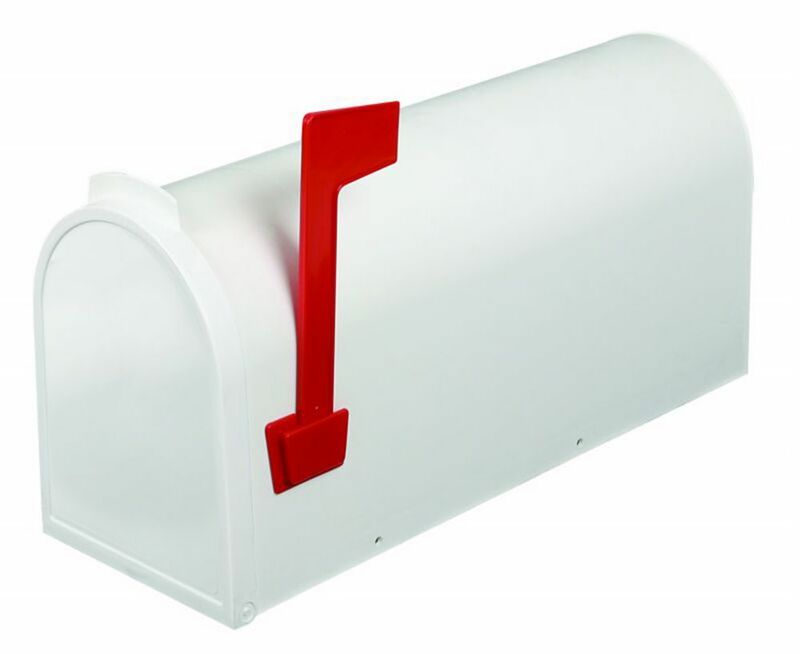 Economic Post Mount Mailbox, White The Economic post mount mailbox by PRO-DF is the perfect combination of convenient and economical. Made of impact resistant moulded plastic, this mailbox will last for years. This mailbox will match perfectly any property styles. This medium size mailbox is ideal to receive small parcels. Mounting board sold separately.